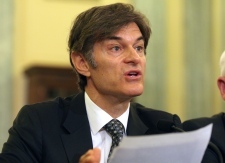 WASHINGTON -- Under pressure from Congress, celebrity Dr. Mehmet Oz on Tuesday offered to help "drain the swamp" of unscrupulous marketers using his name to peddle so-called miracle pills and cure-alls to millions of Americans desperate to lose weight. 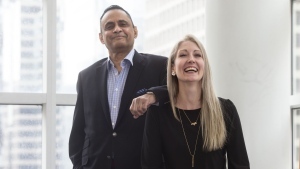 Oz, a cardiothoracic surgeon, acknowledged that his language about green coffee and other supplements has been "flowery" and promised to publish a list of specific products he thinks can help America shed pounds and get healthy -- beyond eating less and moving more. On his show, he never endorsed specific companies or brands but more generally praised some supplements as fat busters. Within weeks of Oz's comments about green coffee -- which refers to the unroasted seeds or beans of coffee -- a Florida-based operation began marketing a dietary supplement called Pure Green Coffee, with claims that the chlorogenic acid found in the coffee beans could help people lose 17 pounds and cut body fat by 16 per cent in 22 weeks. "If you see my name, face or show in any type of ad, email, or other circumstance," Oz testified, "it's illegal" -- and not anything he has endorsed.